On the old Tonight Show (as in Carson, not Leno, much less Parr), I once remember Conte Candoli unwinding a great solo on "King Porter Stomp." No surprise, I guess, for a guy who cut his teeth with the big bands of the late 1940s. But as he went into his second chorus, he quoted "Epistrophy," whose juxtaposition, as I recall, killed me. "Where did that come from?" But I guess it made sense, because Candoli was a bopper at heart, and his pedigree did not betray him. In the early 1950s, he made a series of recordings with Bethlehem (as in, yes, trite, "the legendary Bethlehem label," not so trite if you happened to be three years old at the time of recording). This one, dating from 1954, was remastered in 2014 and is part of an ambitious reissue project carried out by Naxos under the logo of Verse Music Group. Head for their site if you want to see what's on offer. You won't be disappointed. Quite a bit of West Coast stuff that I was just too young to hear before it disappeared. I plan to do a lot more listening. This reissue includes what were and are a lot of great tunes. Candoli, Stan Levey, Max Bennett and Claude Williamson start off with the old (1930) show tune, "Fine and Dandy," taken around 400 bpm. Why so fast? Because they could, I guess. Also included is a far less frantic version of "I Can't Get Started With You" that, to my ears, at least, does not remember Bunny. Others gems include "On the Alamo," "They Can't Take That Away from Me," and "I'll Remember April." 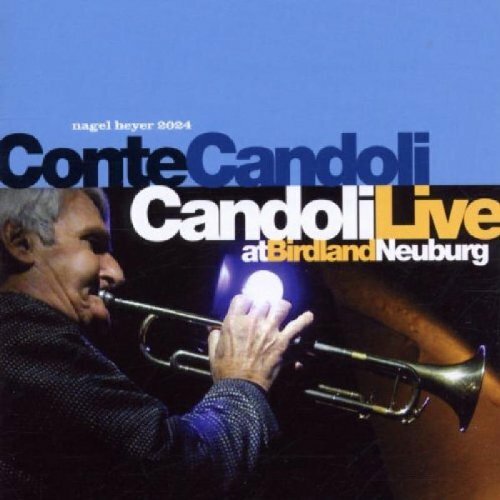 Conte's take on "Everything Happens to Me" is heartfelt, but never quite reaches the emotional plane that some other players, notably Tom Harrell, have taken it to. I guess you'd have to say Candoli's forte was his technique and his ideas, rather than his expressiveness. Well, quite a few make do with less, and very few made do with more. 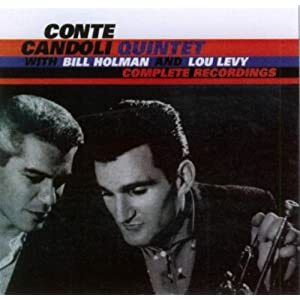 Conte Candoli was an outstanding jazz player. The rhythm section is no less distinguished. Younger players could do a lot worse than listen carefully to Conte and his band on this amazingly fresh 60 year-old recording. By the way, the cover art recalls Erroll Garner's recently reissued Concert By the Sea. 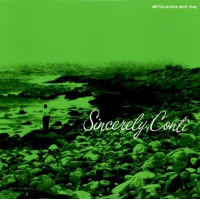 Soulful, whether it's Conte standing out on the rocks or not. 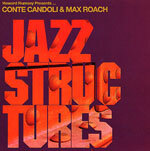 Personnel: Conte Candoli: TPT; Stan Levey: D; Max Bennett : B; Claude Williamson: Piano.